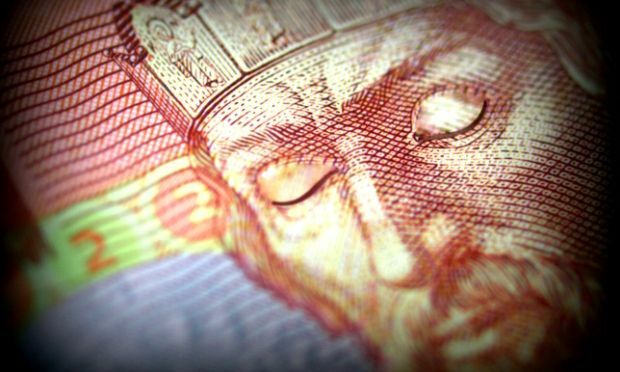 Hryvnia quotations against the dollar on the interbank currency market on Wednesday had slid to UAH 16.10/16.50 to the dollar by the middle of the trading day, compared to UAH 16.00/16.25 at opening of trade. A broker at a commercial bank told UNIAN that trading on the market was more active, but the deals have still been concluded in small volumes. According to the source, the hryvnia quotes against the euro have settled at UAH 20.05/20.54, and against the Russian ruble they have settled at UAH 0.2360/0.2430. According to the National Bank of Ukraine, the weighted average exchange rate of the hryvnia as of 1330 was UAH 15.7898, with 60 deals concluded by this time worth a total of $17.66 million.